Once you step foot on a college campus, you automatically assume that you are in a safe zone. College campuses offer a home to many of their students and often have round-the-clock security, adding to an already secure feeling. However, college campuses must live up to the same responsibilities as ordinary property owners, and the failure to properly secure the campus could lead to liability. Whether you or somebody you love was injured on a college campus in the state of Florida, you may be able to receive compensation. 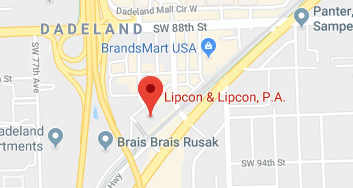 Speak with a Miami campus accident lawyer at Lipcon & Lipcon, P.A. today to learn more about your legal options. Premises liability is rooted deep in English common law and requires that a property owner be liable for any injuries which occur on his or her property. This has slowly transformed over the years to lead to liability dependent on the type of visitor to the property. If a so-called trespasser is on the property, the owner of that property has an obligation to warn against the hidden dangers or “attractive nuisances.” However, a property owner has the highest duty of care to protect guests on the property from any dangers. Similarly, a college or other school campus has a duty to protect students and visitors from any dangers on the property, such as rusted stairwells or icy sidewalks. Any injury which occurs as the result of the failure of the school to take action in rectifying any danger on campus could lead to liability. A campus accident could include the safety of a student as well. The failure to adequately protect students on campus through adequate security, well-lit areas, or simply a safe environment could lead to criminal activity occurring on campus. If a student is a victim of a criminal attack, they could have lasting injuries, both physical and emotional, which the campus will be held responsible for. As a comparative negligence state, Florida requires the victim that is involved with any personal injury accident may be entitled to file a claim for any damages against the negligent property owner. However, a claim for damages can be decreased in which the victim was the one at fault. For example, if the victim was texting while walking (and therefore not taking into consideration their surroundings), the total number of damages may be decreased by the percentage in which a court determines the victim’s own fault to be. Regardless of the extent of the victim’s fault, the victim can still bring a claim. At our firm, Lipcon & Lipcon, P.A, our Miami campus accident attorneys know accidents could have lasting impacts on a student and believe the school needs to be held responsible for any negligent actions and their failure to protect their students or campus visitors. If you or someone you know has endured injuries from a campus accident, contact one of our layers at Lipcon & Lipcon. College and other school campuses owe a duty of protection to any students and visitors to the campus. The failure to maintain the grounds or warn of any hidden dangers could lead to dangerous accidents on campus. Contact our Miami office at 305-670-6144 or contact us online so we can start to review your claim promptly.